Hotel Aura is a benchmark in hospitality and service delivery. The feeling is that of a discreet, sophisticated and in-house guest only hotel. It is now synonymous with a whole lifestyle providing a complete 4 star Boutique Hotel concept to its guests. Hotel Aura is ideal place to stay on business, a special place where you can relax unwind and entertain your guest. The Facilities and ambiance of Hotel Aura enchants the business and the leisure traveler alike the luxurious lifestyle experiences for you. An exquisite blend of business and pleasure, it's the perfect place to confer, relax or rejuvenate your senses. The Aura interiors will enchant you. Where every member of the staff and every facility is dedicated to make you return to this boutique Hotel. Time after time. 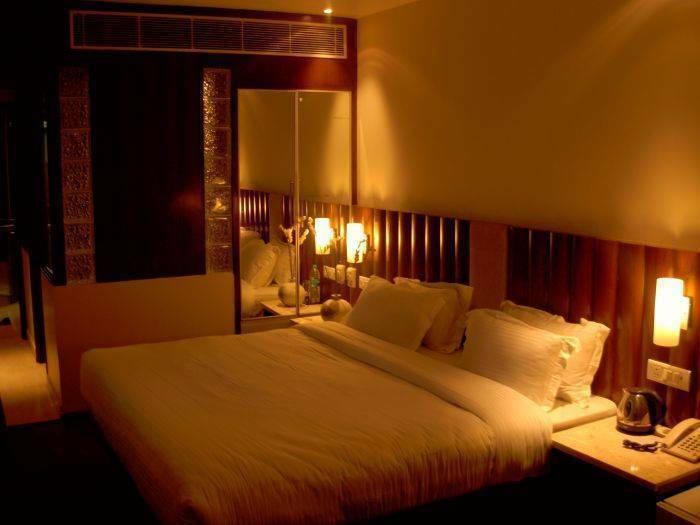 We are one of the finest 4 star facility Hotel in Paharganj New Delhi. Hotel Aura offering a unique blend of Indian and Asian hospitality. Aura welcomes you to New Delhi for an enticing experience . Our luxury budget hotel is strategically located in the heart of the business and commercial hub of New Delhi and provides easy access to most of the corporate and financial centers, ministries, embassies and International Trade Fair Grounds. The Aura is the perfect destination for an international traveler looking for easy access to doing business in New Delhi. In our suit room jacquazee bath, king size bed and all other thing same. 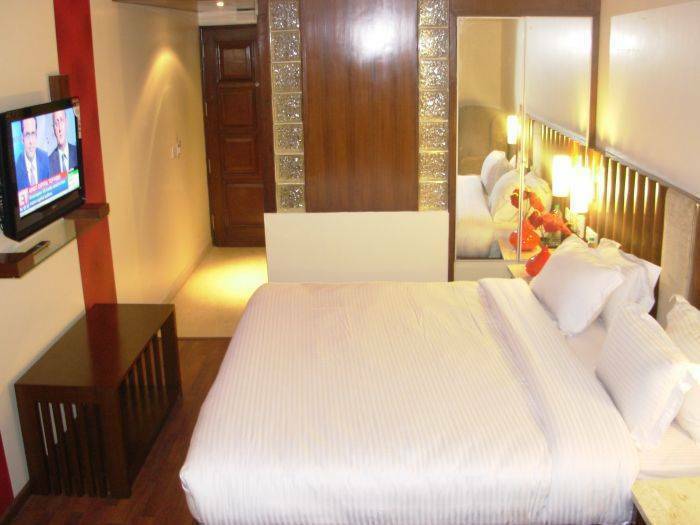 Hotel Aura is located on Arakashan Road, Paharganj in the heart of Delhi and is surrounded by commercial hub. It is in the heart of the city diagonally opposite to New Delhi Railway Station (Walk-in Distance From New Delhi Railway Station) close to cannaught place and most airlines offices. In close proximity to the markets like Sadar Bazar , Karol Bagh , Palika Bazar and Janpath. Also in the close vicnity of Chandani Chowk and Old Delhi Railway Station. Red fort 10 K. M.